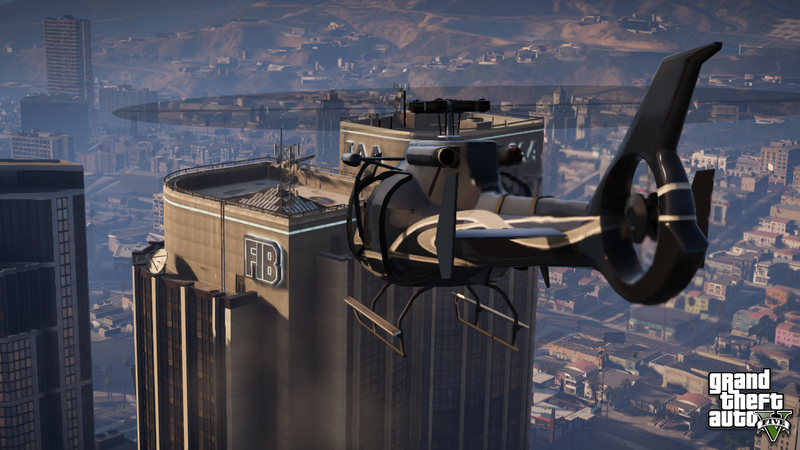 It's been a busy week for GTA fans. The week kicked off with many European websites, giving their own previews of the highly anticipated game. Followed by many more screenshots being released from various sources, on a near daily basis. 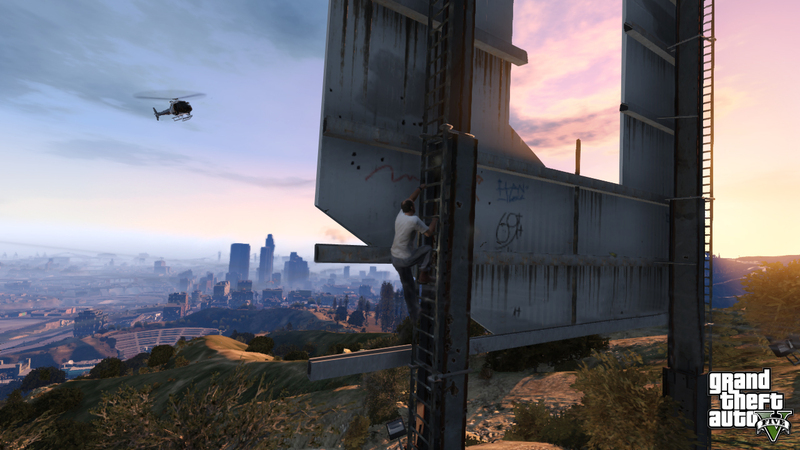 On Wednesday, Rockstar released the second trailer for 'Grand Theft Auto V'. It's been a great week, but we have a little bit more exciting information for you, and two brand new screenshots! While some missions will require you to use the different characters, there will be solo missions for each of the protagonists. Like past GTA games you can't permanently kill off your character, so any deaths each of the three experience will be non-permanent. You can walk into any of the main characters houses, and in at least Michael's case, interact with their family. The entire map will be open from the games beginning, mostly because each of the characters live in different parts of the map. The Los Santos metro area will be larger then IV's Liberty City, but the actual city of Los Santos will be a little bit smaller then LC. There will be a lot of variety in the missions than there was in IV. You can use gasoline to light cars on fire as Trevor anytime you want, not just on missions. Each character has their own inventory, but that could be changed closer to the release date. The wanted system may be different, but at this time it's unknown by how much. 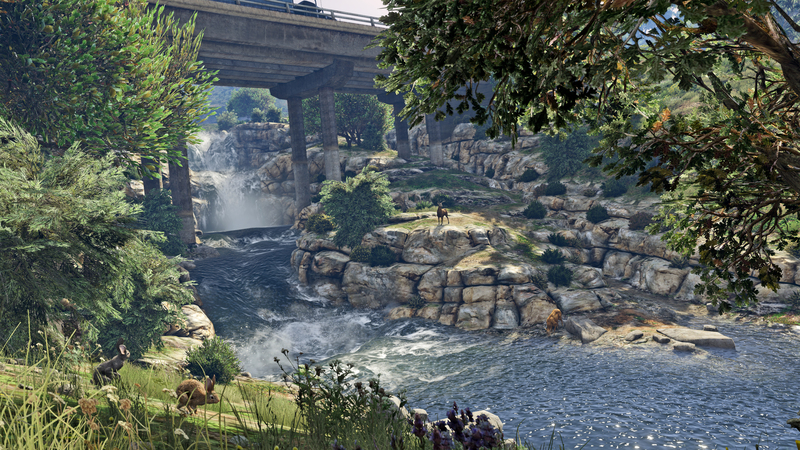 Stay tuned to igta5.com for all the latest news on GTA V. Remember to join us in our Forums to discuss anything GTA V related. When I played GTA SA on the PS2 for the first time, I did not put the controller down for atleast a week. I hope this is the same case in GTA 5. To be honest, GTA 4 was a little bland to me. I cant blame Rockstar because they struggled with the new software. Now they know what their doing. This game will be epic! I can feel it. This game looks so AWESOME!!! Better graphics than GTA IV and there WILL be more missions than GTA IV. I think the release date will be in MAY of next year. But I can't wait to play this game. BIGGER CITY, BIGGER MAP, AND BIGGER EXPLOSIONS... Rockstar Games are doing great on this project!!! The actual city is smaller than GTA IV, but the whole map of GTA V is like 4 times bigger than GTA IV. Well now I'm confused. Above it clearly says; The Los Santos metro area will be larger then IV's Liberty City, but the ACTUAL CITY of Los Santos will be a little bit SMALLER then LC. Yet below, a SiteAdmin comment says Los Santos, the CITY, is bigger than Liberty City. So is the CITY smaller or the downtown district? This could be made clearer. What will we be able to do with money? In the game as i can comprehend, we will be able to make loads of money but it would be shame if it was like in gta 4 (buying clothes and food and paying medical expenses) that would be disappointing. I hope there will be more stuff to do with money. I wish our players would rely on it just like in real life. Can't wait for this game looks amazing and sounds great too.Dogs Finally in gta and desert area and Mountain area dosen't sound anything compared to last gta it's going to be terrible compared to this new Gta pre-ordering it form my nearest asda store tomorrow can't wait for April????!! !